Diabetes is a disease where you have higher blood sugar levels. It is a result of the inability of the glucose to enter the cells and as a result, the cells starve for their food – glucose. It is estimated that more than 17 million people alone in the US are affected by diabetes and more than one-third of those affected are not aware of the same. Dietician Sheela Seharawat mentions at her Diet Clinic that the dread of diabetes is as such that it can cause a series of serious health issues like heart diseases, kidney failure, blindness and even amputation of body parts. Most patients affected with diabetes develop heart diseases and in fact, having diabetes alone is just like having a heart attack. Therefore, it is very critical that one who has diabetes should be in constant observation from a doctor and should constantly monitor their cholesterol levels and blood pressure. Old age, obesity, family history, impaired glucose tolerance, physical inactivity, and race/ ethnicity are some of the common reasons for developing diabetes. Frequent urination, excessive thirst, unprecedented weight loss, changes in vision, feelings of extreme hunger, numbness of the limbs, feeling of tiredness, sores that take a lot of time to heal and dry to very dry skin are some of the common symptoms of diabetes. 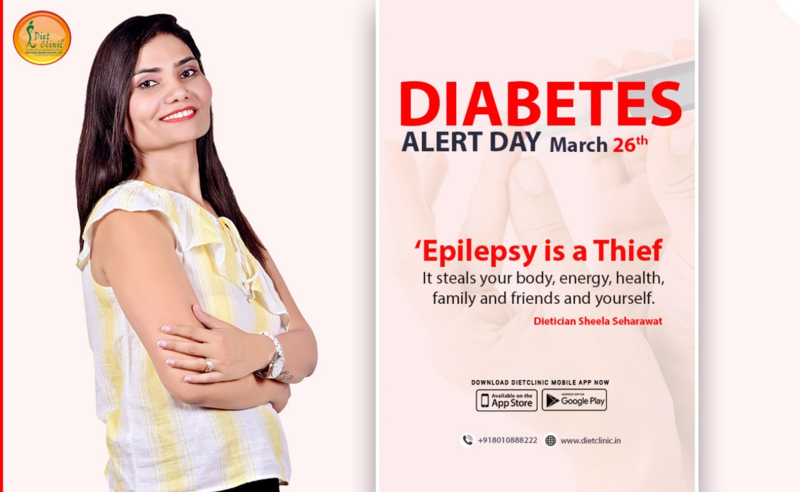 Diabetes if not controlled and taken care of can be devastating and that is what that is been tried to convey through the observations of American Diabetes Alert Day. Living a healthy lifestyle, eating healthy food and staying away from unhealthy habits are critical in the control and prevention of diabetes.